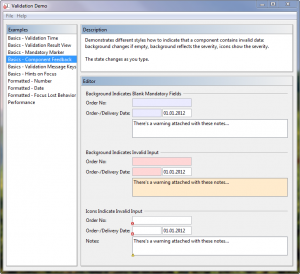 The free JGoodies validation framework helps you validate user input in Swing applications and assists you in reporting validation errors and warnings. It has been designed to work with different architectures, patterns, and programming flavors. 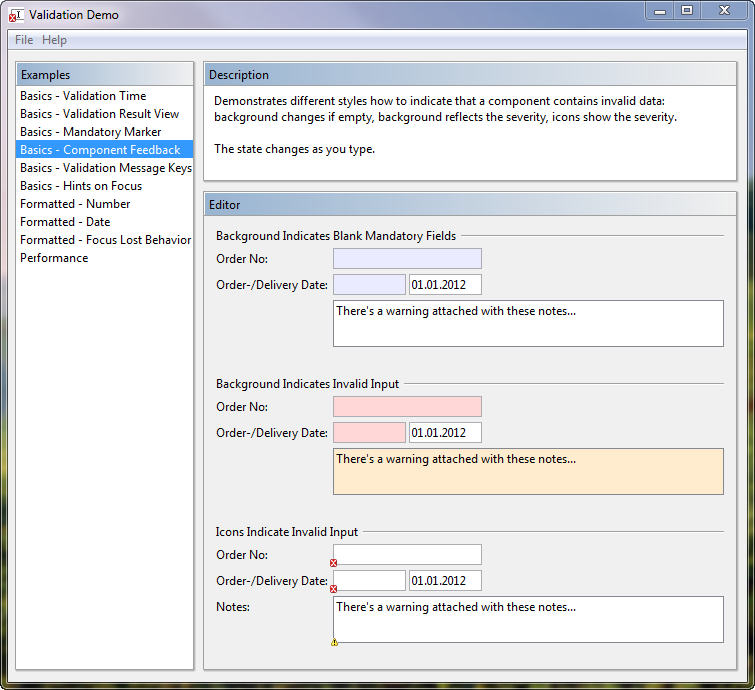 You can experiment different validation styles in the Validation Demo or Showcase application.